For Singapore, due to history, geography, demography, economy and recent political experiences, Malaysia has perpetually been its lynchpin concern and preoccupation. In the past, S Rajaratnam, the Republic’s first foreign minister, had described Singapore’s relations with Malaysia as ‘special’ and there is nothing to suggest that this has changed in anyway. If anything, the ‘specialness’ has been intensified and further reinforced due to a whole array of factors, not least being the imperatives of national, regional and international economics. A weakening United States, an assertive China, an unstable Thailand and a new nationalistic leader in Indonesia can change the political and security architecture in the region to the detriment of both states and hence, their bilateral ties. In the 1950s and 1960s, culminating in Singapore’s expulsion from Malaysia in August 1965, the emotive dimension of Singapore’s view of Malaysia was dominant. Even though this has largely dissipated, it is not totally absent. Still, the pragmatism with which both states have moved forward is definitely a milestone achievement in bilateral ties in Southeast Asia. For Singapore, continuity rather than change remains its key perspective on Malaysia. This was especially true after the May 2013 general elections where the Barisan Nasional (BN: National Front) was returned to power albeit with a weaker majority. Still, Prime Minister Najib, the United Malays National Organisation (UMNO) and the BN are in power and that is what matters even though the winds of change must also be disconcerting. The disquiet would be more, not so much from the economic aspect as it would be from the rising racial and religious polarisation of Malaysia in the last few years that was brought to the forefront during the last general elections. The ‘Allah’ issue has not been helpful and the recent firebombing of a church in Penang has merely raised the ante of what this will mean for Malaysia and possibly, even multiracial and multi-religious Singapore. 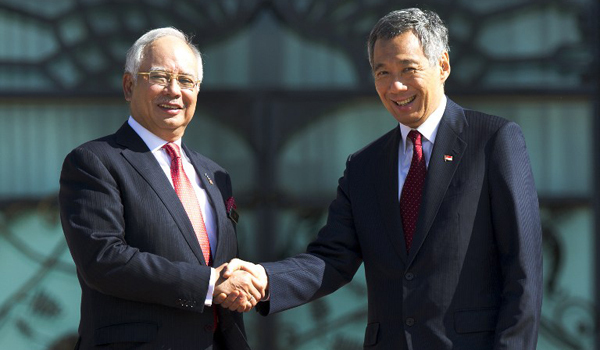 All that aside, the single most important development of late has been the rising warmth in Singapore-Malaysia bilateral ties under Lee Hsien Loong and Najib Tun Razak. While past imperatives of history, geography and demography remain relevant, most dominant in the new narrative has been the personal warmth of the two prime ministers and the strategic nature of their bilateral ties. 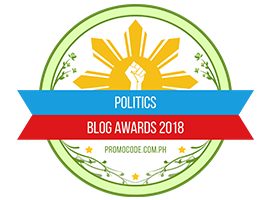 Most of the past issues have been addressed or settled such as relocation of Customs and Immigration Complex, land reclamation and even water. Most importantly, has been the breakthroughs that both leaders have made vis-à-vis two issues, namely, the resolution of the Tanjong Pagar Railway Station and the land exchange deal as well as Singapore’s support for the Iskandar Development Project in Johor. Other positive developments in ties include the holding of annual leader’s retreats, re-establishment of links between both countries’ stock exchanges, Malaysia’s agreement to sell electricity to Singapore, the agreement to build high speed train link from Kuala Lumpur to Singapore, the amicable post-Pedra Branca technical talks to resolve legacy issues over the islands’ dispute and finally, the establishment of a Singapore consulate in Johor Baru. If there is one key factor that has brought bilateral ties to a new height, it is the cooperation in the Iskandar Project. Not only is the Singapore Government supporting investments in the project through Government-linked companies such as Temasek Holding but also playing an important role in encouraging the private sector to invest in the project. Additionally, thousands of Singaporeans are expected to be permanently based in the Iskandar region and Johor as a whole, bringing interdependence to a level that was never seen before. 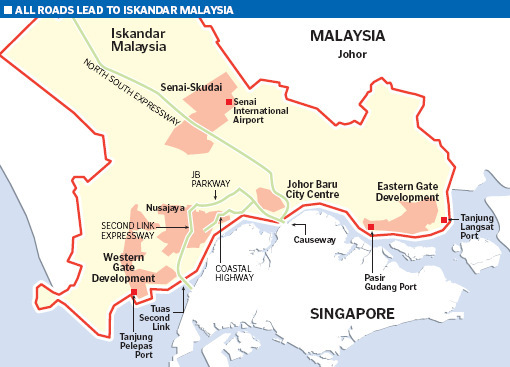 To that extent, Iskandar has been the key game changer in Singapore-Malaysia bilateral ties of late. The breakthrough in bilateral ties was a function of a number of factors. First, the decision by both sides to adopt a new approach to bilateral ties in order to garner win-win results. Second, the personal warmth of the top leaders was extremely helpful. Third, the calculation of the mutual benefits that would be gained by both sides in view of the increasing regional and global competition. Fourth, over the years, there has also been increasing economic interdependence with Singapore as one of the top investors in Malaysia over the last two decades or so. Two-way trade and investments are among the highest between the two states. Fifth, there is also the realisation of increasing security indivisibility of both states. Finally, the ideological pragmatism of both sides has also helped in boosting bilateral ties. While Singapore expects Malaysia in 2014 to have a largely ‘normal’ year barring any unexpected events – all the more to be the case as the UMNO annual assembly has opted for status quo – the Republic is also mindful of the many uncertainties that can unexpectedly crop up to affect bilateral ties. While 2014 can expect the warming of ties to continue, this cannot be taken for granted. First, the warm ties of two prime minister, both of whom are sons of two former prime ministers who were not close, may not survive personalities if a more nationalistic prime minister takes over in Singapore or Malaysia. Second, tensions could surface if the promised cooperation proves futile or produces one-sided benefits, say in Iskandar Project. Finally, growing domestic tensions in Malaysia, especially among the Malay and Chinese communities in Johor or in Malaysia could spill over into Singapore-Malaysia relations. Hence, for Singapore, while Malaysia in 2014 is expected to continue ‘good business as normal’, there are also potential minefields that might explode, and hence, the need for caution. ‘Special relations’ are important but can never be taken for granted, and this also holds true of Singapore’s view of Malaysia in 2014. Bilveer Singh is associate professor at the Department of Political Science, National University of Singapore, adjunct senior fellow at the S Rajaratnam School of International Studies and President of the Political Science Association of Singapore. Posted in ASEAN, Bilateral Relations, business, Diplomacy, Economy, Governance, Najib, Politics, Regionalism. 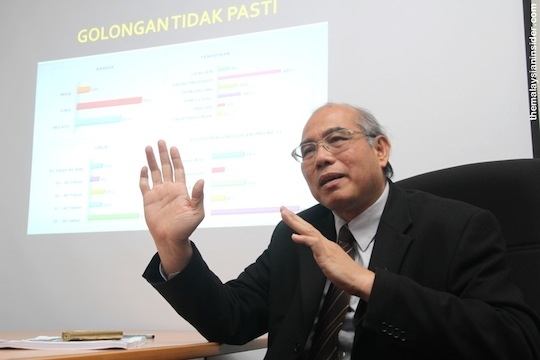 Academic staff of the University of Malaya today hit out at the Education Ministry over its role in the removal of Professor Datuk Dr Mohammad Redzuan Othman, saying it was clear Putrajaya did not rate academic freedom highly. 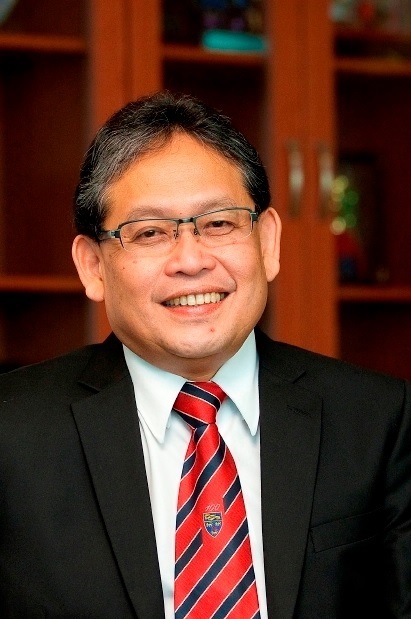 Associate Professor Dr Azmi Sharom (pic), who heads University of Malaya Academic Staff Association (PKAUM), said if the ministry had leaned on Redzuan, then it is clear that decisions are made based on political importance and not academic reasons or interests. “This is one of the reasons why Malaysian universities find it difficult to develop because there is political interference,” he said. The Malaysian Insider reported today that the Education Ministry had told Redzuan to quit as director of Universiti Malaya’s Centre for Democracy and Elections (UMcedel), while his tenure as dean of the Faculty of Arts and Social Sciences in the university was also not renewed. Azmi said Putrajaya should stop mouthing platitudes about academic excellence. “Close your mouth and keep quiet. Do not dream of delusions of academic grandeur and Malaysian universities making the Top 100 institutions of higher learning in the world rankings,” he said, adding that academic freedom was the basis of a top university. “The top universities are free of political interference, especially in matters concerning research. However, the Education Ministry appears to have failed to understand this particular point,” Azmi said. On the issue of Redzuan’s tenure not being renewed, Azmi said the UM’s Vice-Chancellor (left) had the full power to determine the most qualified individual to hold the position. “Even if the votes are in Redzuan’s favour, the V-C has the final say. The academic staff can only propose who they like. We do not know how many of the faculty staff supported Redzuan.Even if Redzuan wins the popular vote, the final decision lies with the V-C. However, if it is true that Redzuan won the popular vote but failed to retain his position, then it will be another example of Putrajaya’s interference at play,” he said. The Malaysian Insider also reported that Putrajaya was uncomfortable with UMcedel’s research which was seen as favouring Pakatan Rakyat during last year’s 13th general election.One such research was a survey which indicated greater support for PKR de facto leader Datuk Seri Anwar Ibrahim, compared to Prime Minister Datuk Seri Najib Razak. The research conducted by UMcedel was later proven accurate when PR won the popular vote during the 13th general election. Attempts by The Malaysian Insider to meet Redzuan was in vain as he was said to be busy in meetings and refused to speak to the media. Following Redzuan’s removal, former higher education deputy minister Datuk Saifuddin Abdullah said he was quitting his post as a senior research fellow in the university. Posted in civil society issues, Democracy, Education, Governance, Human Rights, Najib, Politics. It is Education Minister Muhyiddin Yassin (above with his Boss) who should resign from his post and not Universiti Malaya Centre for Democracy and Elections (Umcedel) director Redzuan Othman or the university’s senior research fellow Saifuddin Abdullah, the DAP says. Lim Kit Siang in a statement today said Muhyiddin has had nothing to show in his portfolio, apart from the “disgraceful” interference of the Education Ministry officers that led to the resignation of Redzuan . “What has Muhyiddin to show in more than a year as the powerful education minister, gobbling up the former Ministry of Higher Education in the field of tertiary education, apart from the latest disgraceful episode of interference with and violation of academic freedom, resulting in the resignations of Redzuan and Saifuddin (left) from the Universiti Malaya?” Lim asked. In a separate statement, DAP’s Serdang MP Ong Kian Ming said it was unfair to target Redzuan just because the survey results in the past are not seen to be favourable to BN. Among others, Redzuan and his team accurately predicted that Pakatan would win the popular vote in the 13th general election. “Academicians should not be punished for pursuing legitimate academic research, including in the field of politics and political science, even if the results do not seem to be favourable to the ruling party,” Ong said. DAP’s Mengkibol assemblyperson Tan Hong Pin also showed support for Redzuan, saying that the move by the Education Ministry was “proof” that BN had “killed off academic freedom altogether.” “Even though the Universities and University Colleges Act (UUCA) has been amended, I see that the principle and policy that stifles the intellectuality of students and academicians in universities have not changed,” Tan said. Prominent political scientist Professor Datuk Dr Mohamad Redzuan Othman has paid a heavy price for conducting independent surveys and polls on Malaysian politics – he has been directed to quit as director of Universiti Malaya’s Centre for Democracy and Elections (UMcedel) by the Education Ministry. Sources told The Malaysian Insider that not only was he ordered to leave as director of UMcedel, Redzuan’s tenure as dean of the Faculty of Arts and Social Sciences in the university was also not renewed. In UM, though deans are elected by the academic staff, it is still subject to endorsement by the university’s management. Sources said although Redzuan is said to have been given the thumbs up by his colleagues for the dean’s post, political pressure compelled the university not to endorse his election. “The university has given the excuse that Redzuan will retire next year and that is why his tenure as the dean would not be renewed,” a source told The Malaysian Insider. Profesor Dr Md Sidin Ishak will take over from Redzuan as the new dean.However, it is Redzuan’s work at UMcedel which appears to have sealed his fate at the university. It was learnt that over the last few years, UMcedel had irked Putrajaya with its various survey findings on Malaysian politics which had shown the ruling Barisan Nasional in a bad light. One survey which was said to have rattled the Barisan Nasional was conducted during the run-up to the 2013 general election where the findings had showed that Prime Minister Datuk Seri Najib Razak trailed his political foe Datuk Seri Anwar Ibrahim. The UMcedel poll showed that more than 60% of voters surveyed favoured Pakatan Rakyat’s (PR) manifesto, compared to just 50% for BN’s election pledges.The UMcedel survey also showed that 43% of respondents believed that Anwar was qualified to be prime minister, pipping Najib by four percentage points. Najib had rubbished the findings and many BN supporters questioned the methodology used.UMcedel in its reply noted that Najib had been pleased with its earlier surveys after he had assumed office which painted a positive picure of him and the BN. However, despite the projections, BN won the 13th general election but with a reduced majority. It captured 133 parliamentary seats. Pakatan only clinched 89 out of the 222 parliamentary seats. Within the academic circles, it is common knowledge that Redzuan, a history professor, had often faced pressure‎ from the Education Ministry over the centre’s findings.The Malaysian Insider learnt that Putrajaya was also unhappy with Redzuan for purportedly being opposition-friendly, although he had on many occasions explained it by saying, “where would I be without politicians”. 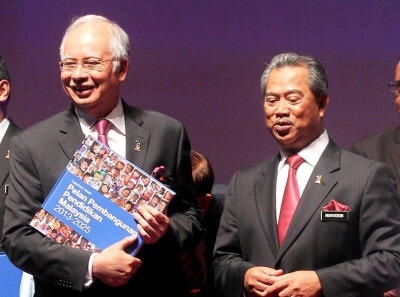 Apart from surveys on the BN and Najib’s popularity, UMcedel had also conducted a study on Deputy Prime Minister Tan Sri Muhyiddin Yassin and the UMNO elections. 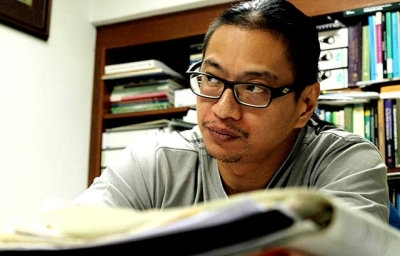 Pressure against Redzuan included interference in his university programmes that involved PR leaders – which the academic had repeatedly resisted. One such programme which was said to have displeased the Education Ministry was held on February 19, 2013, where Lembah Pantai MP Nurul Izzah Anwar was given a hero’s welcome at a ‎forum at the university after Putrajaya had pressured UMcedel to drop her from the list of speakers for the event. 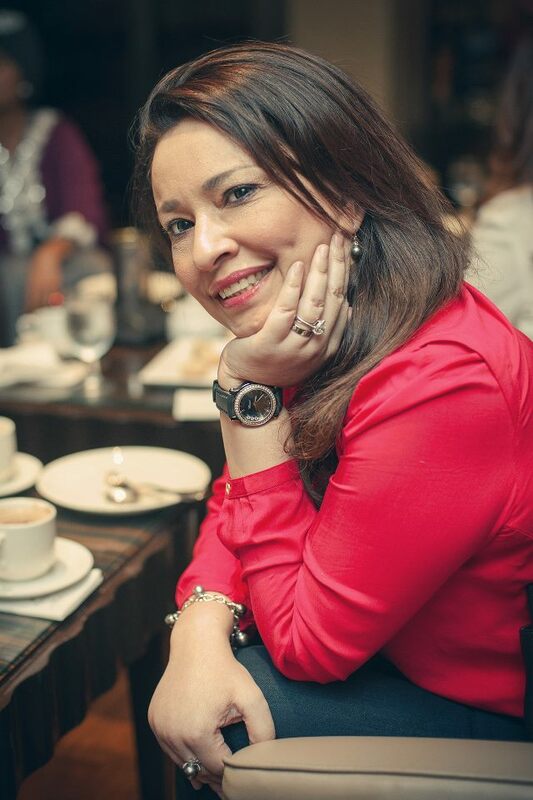 ‎According to UM’s website, Redzuan was to serve as director from February 26, 2012, to December 31, 2014. His deputy, Dr Amir Saifude Ghazali, will take over as director. “He appears to be facing pressure from his old friend from Abim (Angkatan Belia Islam Malaysia), who is now with the Education Ministry,” said a source close to UM, referring to the Chief Secretary II of the Education Ministry, Datuk Dr Zaini Ujang‎, who was with Redzuan in Abim. Posted in civil society issues, Democracy, Education, Governance, Human Rights, Politics. It’s just as well Datuk Dr Leonard Andrew de Vries does not know when he’s beaten. From the time of the Japanese Occupation when his father died in prison, Lenny, as he is fondly referred to by friends and even detractors alike, has had to make the best of circumstances which he faced. Dr.De Vries holding a photograph of fellow STTI graduates from the class of 1962 taken in 2002. It’s rather like the opening batsman’s role he played in his cricketing days of youth. You have to face any ball that’s pitched to you, on any wicket your captain elects to play, even if the weather conditions happen to be unfavourable. You ask no quarter, and though your convictions prompt you — away from the field of play — to render others more than a few, you are unfazed when these go unrequited. To be sure, circumstances have not always been adverse in Lenny’s life as it played out over the past 76 years. True, the death of his father, Roy, in wartime must have been traumatic to him, his mother and siblings. But with Uncle Cyril and Aunty Gladys deputising, Lenny did not lack for filial succour. Just as war clouds were gathering over East Asia as the 1940s dawned, Lenny’s dad, Roy de Vries, was made a captain in the Volunteer Corps, a uniformed unit composed of locals and trained by British colonials to help in the defence of the country against a threatened Japanese invasion. After the Japanese had arrived and subjugated the country, an informer let the new overlords know of Roy’s prewar affiliations which resulted in Lenny’s father being imprisoned. Death followed soon after. His mother, too, sickened and died a short time thereafter. Perhaps that was Lenny’s initial lesson in making the best of what life offers at any one time. When the daily journey from where he stayed with his guardians in Alor Gajah to school at the St. Francis Institution in Malacca became too dangerous in the early 1950s because of intermittent attacks by communist terrorists in the ongoing Emergency, Lenny was packed off to Perth for his secondary schooling. 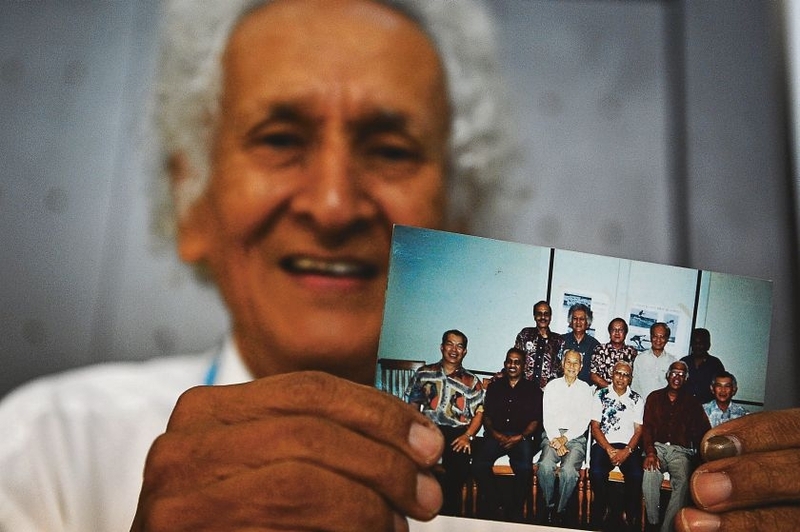 After that, he was off to Brinsford Lodge in Britain for teacher training, followed by postings to schools in Negri Sembilan before arriving at Victoria Institution in Kuala Lumpur in 1965, when that school was in what came to be regarded as the height of its fame as a spawning ground for students out to excel in academics and in sport. Under redoubtable headmaster V. Murugesu, the school set standards rivals sought to emulate. Lenny was in charge of the students’ hostel and of physical education. Murugesu demanded and got the best, with Lenny, already primed from attending a seminal PE course at the Specialist Teacher Training Institute (STTI) in Cheras in 1962 under the tutelage of the legendary Datuk Teoh Teik Lee, to give as if it were off the meat of his cricket bat. “That course virtually began the era of awareness of how physical education and fitness could play its vital role in the preparation of not only our top performers in sport but also ordinary citizens that they may keep minimum standards of fitness,” recalled Lenny in Penang, where he resides. As an index of its importance, the ceremonial opening of the course was officiated by then Deputy Prime Minister Tun Abdul Razak Hussein. Course participants would go on to become a who’s who of renowned coaches in their respective fields — Mohamed Noh Che Noh, Peter Lee Guan Chye, C. Ramanathan, M.P. Haridas, and Lionel Rajamoney. “In those days, the best coaches were all from the teaching profession,” Lenny need hardly have emphasised, considering the professions of the abovementioned quintet. Lenny made special mention of Teoh Teck Lee, who was in charge of physical education in the ministry of education. “It was he who gave impetus to physical education in this country. He set up an association devoted to it in 1962,” said Lenny. Lenny became president of the association in the early 1980s, by which time the concept of physical education became more holistic so that the national body’s name had to reflect the idea’s expansiveness. It is was now called the Malaysian Association of Physical Education, Sports Science and Fitness. The wider ambit was partly a reflection of what has transpired in Lenny’s career. Friendship with Sam Edwards, an American Peace Corps volunteer teaching chemistry in Victoria Institution in the mid-1960s, saw Lenny apply for tertiary qualifications in America, culminating in his gaining a doctorate — the first by a Malaysian — in physical education at Columbia University in New York in 1975. The fledgling Universiti Sains Malaysia in Penang financed the final year of his studies for a doctorate at Columbia so that they could get him to join their faculty of education which Lenny did upon completion of his studies. North America would prove to be a happy hunting ground for Lenny for while on sabbatical at the University of Ottawa in 1980, he witnessed the success of a programme called ‘Participation’. This programme grew out of an initiative mooted by then Canadian Prime Minister Pierre Trudeau, who was embarrassed by an observation made by England’s Prince Phillip, husband of Queen Elizabeth II. While on a visit to Canada in the late 1970s, Philip, infamous for verbal indiscretions, observed that Canadians were “fat” and flabby. Using television and other media, Trudeau launched a programme to get Canadians to trim the fat. Lenny was impressed by the success of the Canadian programme. 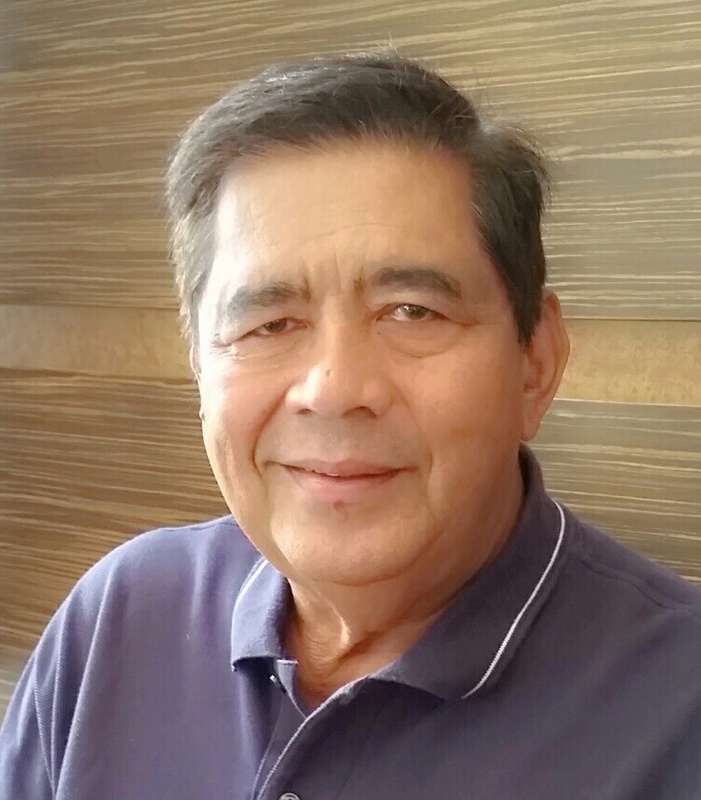 When then Sports Minister Datuk Seri Najib Razak tapped him in 1988 to formulate a plan to counter secessionist tendencies in Sarawak and Sabah, Lenny came up with a scheme modelled on the ‘Participation’ venture in Canada. The programme was called ‘Malaysia Bergerak Bersama’. According to Lenny, the programme succeeded to abating the secessionist tendencies which was then welling up in the Borneo states. “I think this was where Datuk Seri Najib Razak got his 1Malaysia idea when he took office as PM,” suggested Lenny, now an indomitable septuagenarian who five years ago overcame pancreatic cancer. Fortune favours the ever striving such that de Vries, at a weather beaten 76 years, is ready for another innings in a life where even half chances are taken like they are the full thing. A FEW weeks ago, I wrote about my opposition to the implementation of hudud in Malaysia. Since then, it appears that the on-going debate about the role of religion in our country has become even more complicated, whether over child custody, raids on weddings and funerals as well as the issue of Malay-language Bibles. To me, the challenge for Malaysians is simple enough.We must decide what kind of country we’re living in. Is it secular or religious? A constitutional monarchy which practises Westminster democracy or something else altogether? Our leaders have shied away from answering these questions for far too long, allowing opportunists and extremists to dominate the discourse.This has left Malaysia in a permanent state of flux. We cannot become a developed nation when one group of citizens thinks the only way they can be protected is to relegate another into an inferior state. That is at the heart of the various disputes: Malay versus non-Malay, Muslim versus non-Muslim and so on. At the same time, this dichotomy fails to acknowledge the many Malay-Muslims who feel uncomfortable with the idea of living under a theocracy. Still, the fundamental question remains this: should people be treated equally in Malaysia? If not, why?If it is because this will somehow denigrate the position of Islam and the Malays – why is that so?The solution, I think, is to go back to Malaysia’s founding document – our Consti­tution. Unlike Britain, Malaysia’s Constitution is written.This makes us a nation of laws, which gives us a framework for how we deal with each other. And what does the Constitution say? It is true Article 3(1) states that Islam is the religion of the Federation but also provides that other faiths may be practised in peace and harmony. I might be wrong here, but I think this also means that Islam’s special position does not abrogate the force of other provisions, like Article 8(1): “All persons are equal before the law and entitled to the equal protection of the law.” Malaysians – it seems – are being forced to choose between two very unpleasant extremes. One is that we must remove religion from our public lives altogether.The other is that a certain understanding of Islam must take priority over everything else.But if people truly took the time to read the Constitution – they would realise that neither of these paths meet the spirit in which our nation was founded. We are a polyglot nation. We cannot suddenly rid ourselves of our diversity and complexity. Yes, it is messy but it is also a fact of life and embedded in our national DNA.Until and unless we amend our Constitution – the fact remains that Malaysia is not completely secular, but neither does it allow one faith to run roughshod over the other. Anyone who says that provisions of the Constitution or other laws can be ignored simply because they think Islam is under threat is going against the law of the land. Does believing this make someone a bad Muslim? I humbly submit that faith is better served through doing justice rather than by causing fear and ill-will. Our leaders must show collective wisdom and courage in these difficult times. HRH The Sultan of Selangor is to be commended for stating that his state’s religious authorities should seek redress for their grievances only through legal means.However, we live in a democracy. As such, our elected officials should lead the way. They must draw on the collective wisdom of our nation to find the path forward.Leadership is not about being silent in times of crisis. 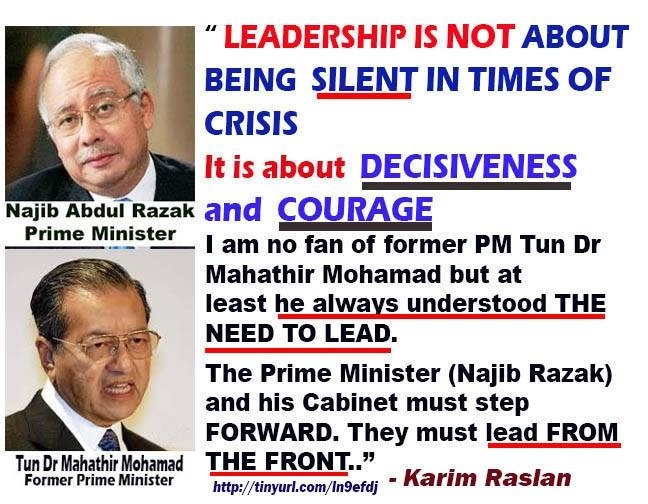 It is about decisiveness and courage.I am no fan of former Prime Minister Tun Dr Mahathir Mohamad but at least he always understood the need to lead. The Prime Minister and his Cabinet must step forward. They must lead from the front.If they don’t have the guts to do so – Malaysians will turn elsewhere. Posted in civil society issues, Democracy, Governance, History, Human Rights, Islam Malaysia, Law and Order, Leadership, Najib, Politics, Race Relations, Religion, Security, UMNO. Matt Monroe was Britain’s Musical export of the Sixties, born with a God given cyrstal clear voice. He is the singer who is in a class of his own, cultivated, cultured and sophisticated. He showed us that he could rise above his working class to become his country’s top entertainer. If you are surprised, just listen to Matt, the James Bond of the easy listening.